Return of the Clay Balls that everyone loves! Made in Germany. Hydroton Hydroponic Clay substrate is..
New coco medium from Canna. Coco professional plus is an upgraded version of there original coco. If..
Organic Potting mix for use indoors and out. Suggest use of Canna Terra nutrient for performance or ..
Coarse perlite. 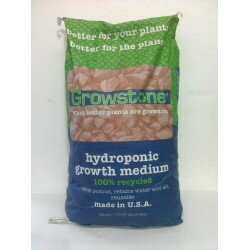 Best grade suited to hydroponics. Other Grades available on request. $45 Superfine -..
Jumbo perlite. Other Grades available on request. ..
fyto cell growth medium. Perfect air water ratio every time. Suitable for all growing systems- feed ..
Grodan rockwool flower slab. 900x300x75..
20kg bag of loose rockwool floc. Perfect for pots and containers. Can be mixed with perlite to fluff..
H&G Cocos is a natural plant substrate made from the cleanest coco peat available in the world today..
OzPeat Coco coir blocks 5kg. 75L expanded volume. OZ PEAT COCO PEAT is an natural, 100% organic, renewable and bio-degradable. Coco peat manufactured ..
OzPeat Coco coir blocks Pallet of 180 5kg. 75L expanded volume. 1 pallet of 180 blocks. CALL FOR FREIGHT QUOTE!!! 1OZ PEAT COCO PEAT is an natural, 100% organic, re..
Sani Bark is used for the buffer process of all organic medium. Bark, Coco Coir etc. Calcium Magnesi..